A trust is a legal agreement between you and a trusted person, or organisation, to hold assets such as cash or property for the benefit of someone else. A trust can be used to support a charity, to protect assets until a child comes of age or to provide income for family after your death. There are many different reasons to establish a trust. Do you have a family member who is unable to manage their affairs due to intellectual impairment or addiction? Do you have family members who are under the age of 18? Do you have a family member who is at risk of divorce, bankruptcy or litigation? Are you part of a blended family? Are you interested in tax savings for your beneficiaries? Would you like to support charitable causes now or as part of your estate? A Testamentary Trust is created as part of your Will and comes into effect once you have died. It is also known as a Will Trust or a Trust under Will. A Family Trust is usually set up to protect a family’s assets or business. There may also be tax benefits to setting up a Family Trust. A Super Proceeds Trust is funded by superannuation death benefits. It is created as part of an Estate Plan to manage these funds for beneficiaries instead of them receiving a lump sum. A Special Disability Trust is created by parents, guardians or close family members to support the needs of a person with a severe disability into the future. A Compensation Trust is usually created under a court order when funds have been paid to a person as compensation for an injury. A Minor’s Trust is set up to manage and protect the assets of a child until they come of age. This may include assets they have inherited. A tribunal may appoint an independent Administrator to manage the financial affairs of people who are unable to themselves due to intellectual or mental impairment. Equity Trustees offers a range of Corporate Trustee services for Fund Managers, employer superannuation funds and corporate investment funds. Charitable Trusts have the sole purpose of donating to a particular charity or group of charities on a regular basis. They can be established during your lifetime or as part of your Will. A trustee is a person, or company, who manages the Trust and is the legal owner of the Trust assets. They must carry out the terms of the Trust and always act in the best interests of the beneficiaries. Above all else, a trustee must be impartial and prudent. Find out more about the duties and responsibilities of a trustee. Trust administration is complex and the duties of trustees can be onerous. Your Trustee has a fiduciary responsibility to protect Trust assets for its beneficiaries. By appointing Equity Trustees as Trustee you are engaging with a company licensed to provide trustee services. 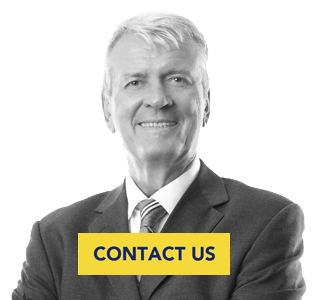 We are regulated by ASIC with respect to maintaining high corporate governance standards, adequate capital requirements, insurance, and a separation of corporate and client assets as well as statutory duties of care. Equity Trustees’ experienced in-house team of investment advisers, tax specialists, property managers and lawyers work together to manage your Trust assets. Our investment philosophy is prudent with long-term growth objectives. We ensure that Trust assets are managed in accordance with beneficiary circumstances, the need for diversification as well as the appropriate level of risk and tax minimisation. If you would prefer another adviser to manage the assets, we can work with them to support the best outcomes for your Trust. Equity Trustees has been performing the duties of Trustee and Executor for individuals, families and corporations since 1888.